While life in the 21st century seems overwhelming, Alyssa Rapp has found time to do it all. The Winnetka native, who spent the past 10 years as an entrepreneur in Silicon Valley, has traded in mild California winters for a more well-rounded life in Winnetka. It wasn’t until her father-in-law passed away in 2017 that she and her husband, Hal Morris, also a Chicago native, and their two young daughters, Audrey and Henriette, decided it was time to return home. With Rapp’s mother, Fay, and stepfather, Daniel Levin, still based in Winnetka, and Morris’s mom based in Munster, Indiana, the timing was perfect. Rapp attended New Trier High School, where she was a competitive gymnast, before earning her B.A. in Political Science and Art History at Yale University in 2000. Though she always had an interest in business, Rapp’s political influence from her parents inspired her to work on Hillary Clinton’s campaign for her first senate race and also serve as national finance director for Congresswoman Jan Schakowsky (IL-9) after her undergrad. After two and a half years as Congresswoman Schakowsky’s finance director and six months traveling in Australia and New Zealand, Rapp packed up for California, where she earned her M.B.A. at Stanford University’s Graduate School of Business. Here, Rapp met her husband and founded her first startup: Bottlenotes, Inc., the leading interactive media company in the U.S. wine industry, which she sold in 2015. 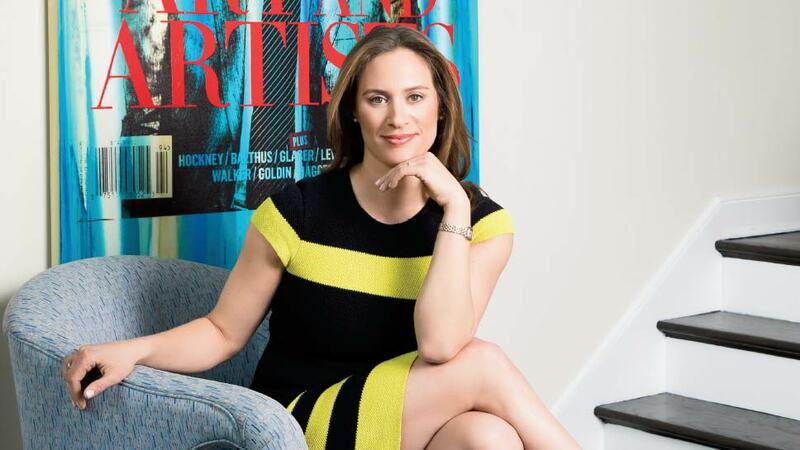 Rapp also founded AJR Ventures, a firm providing strategic advisory services to companies ranging from startups to Fortune 500’s in the technology, beverage and luxury goods categories, which she still assists with today. Yet it’s her most recent career move in Chicago that has her revving up her entrepreneurial engine yet again. In late 2017, Rapp was appointed CEO of Surgical Solutions, LLC., a private equity-backed firm in the healthcare space owned by Chicago-based private equity firm Sterling Partners. Like a true entrepreneur, Rapp is excited to learn, grow and be challenged in an unfamiliar space. However, her ties to California aren’t fully severed. In 2014, Rapp began teaching a course annually at Stanford’s Graduate School of Business called Global Dynamics of the Wine Industry, which focuses on the management of global wine businesses and the economic, regulatory, and market trends of the industry. “This class has been a wonderful way to stay connected and to get to share a decade of knowledge and transfer it back,” she says, citing her experience at Bottlenotes, Inc., which received the “People’s Choice Award” at the Empact Showcase in the U.N. for the top 100 companies with founders under 25. Rapp was named as one of Inc. Magazine’s “30 Under 30” coolest entrepreneurs in America and is consistently named one of the wine industry’s top 100 most influential people by intowine.com. Equally as important as her business ventures is her civic work, which was inspired by her parents at a young age. “Even though I’m an entrepreneur and an executive by day, I’m on the board of the Illinois Housing Development Authority (IHDA),” she says. Rapp also serves on two other boards: Spark, a national nonprofit that creates life-changing mentorships for middle schoolers, and Hubbard Street Dance Chicago, Chicago’s own contemporary dance company. Rapp may be a multi-hyphenate, with titles such as: entrepreneur, businesswoman, startup founder, CEO, civic leader, author, professor, mother, and wife, but it’s her humble attitude and self-motivation that has made her so successful. Alyssa is a class act! So sharp and generous with a serious work ethic. Wishing her the very best in these endeavors. Chicago area is lucky to have her and her family!